I love supporting small businesses, especially when I personally know the owner. It makes any shopping experience 10x better when you know you are personally responsible for supporting someone’s way of life! Tanya Ko is a super talented hair stylist in Fairfax, Virginia. She’s cut my hair not just once, but twice! 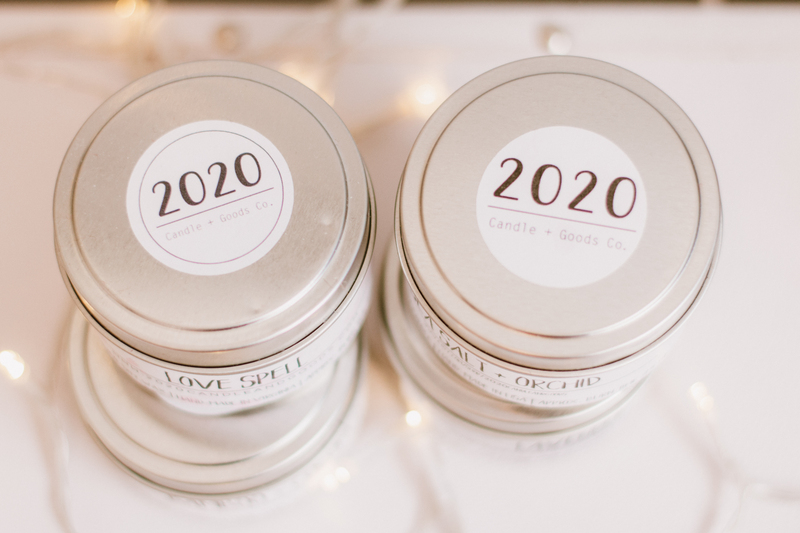 She recently opened a homemade candle company, 2020 Candle + Goods and I am so excited to share her products with you all. She sent me four candles in total, and my first thought was how chic they are. These silver tins are simple, yet classy. You guys know I’m a sucker for minimalist packaging! 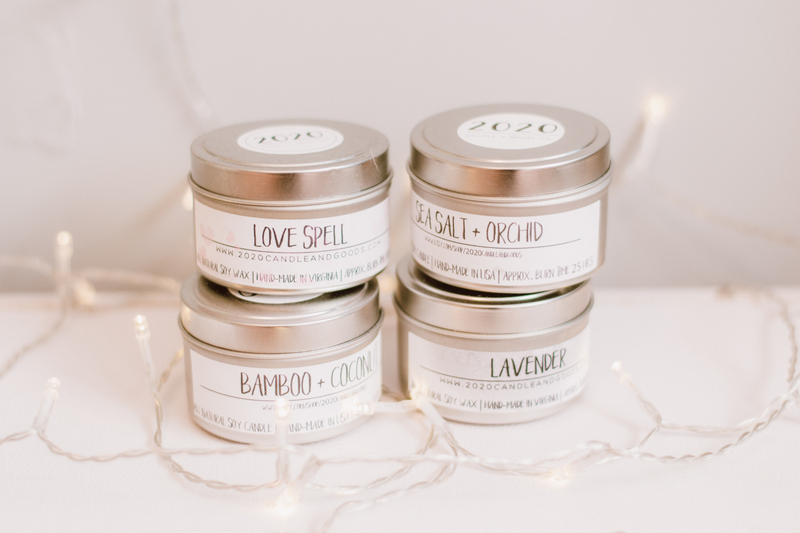 These are soy wax candles, which I recently learned are SO much better for your health and the environment than candles made from paraffin wax. Soy candles actually burn much longer than paraffin candles, which is perfect for people like me who are constantly burning candles. What can I say? I love a nice smelling home! 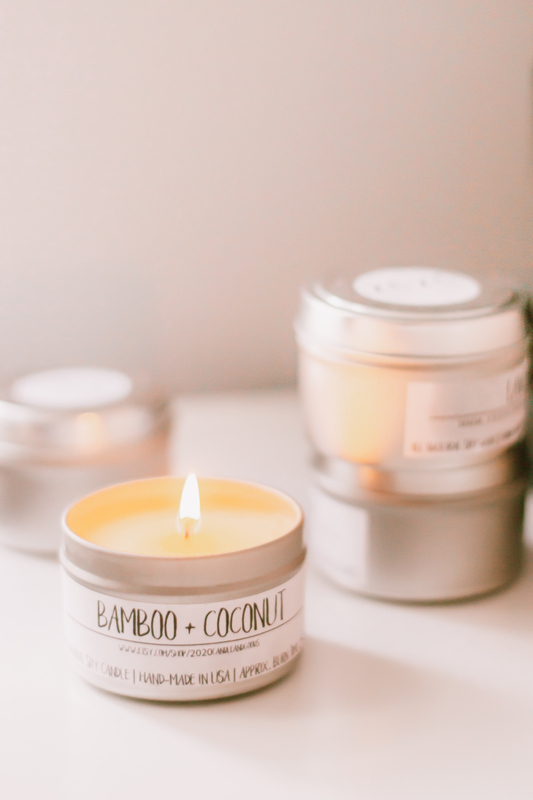 The Bamboo + Coconut candle is SO relaxing- it makes me want to go somewhere tropical and stay there forever. I might be crazy for saying this, but certain smells remind me of certain moments in my life. 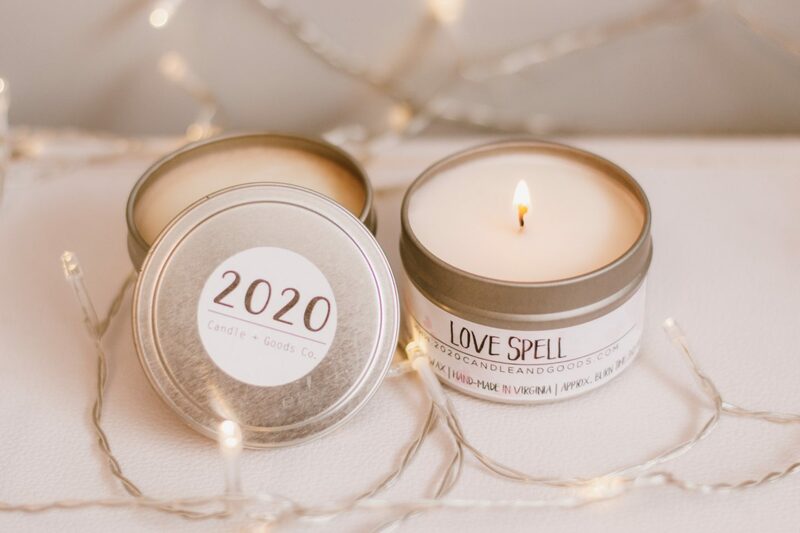 The Love Spell candle (available for a limited time!) is deliciously nostalgic. There’s something about it that reminds me of my childhood, but I can’t quite place it. If you like sweet + fruity candles, this is the perfect scent for you! I also tried the Lavender candle – it literally smells like you’re in a meadow full of lavender blooms. This makes it the perfect candle for a self-care day in the bathtub. Last but certainly not least, is the Sea Salt + Orchid candle. The moment I lit this candle, I fell in love. It’s fresh, bright, and in my opinion- a refreshing scent for those days you’re studying for hours on end. I truly love these candles and I’m so thankful to Tanya for sending them to me! 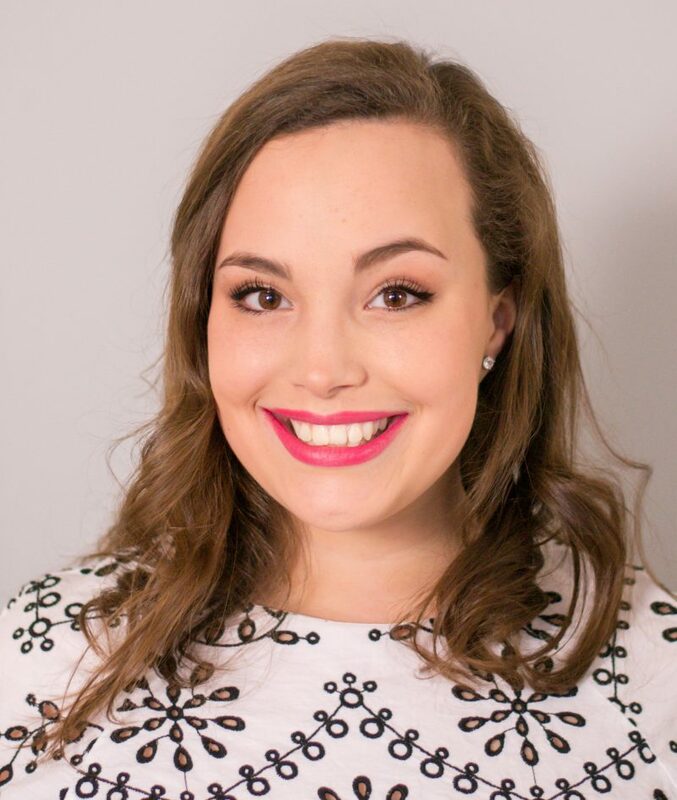 Make sure to give her a follow, check out her shop’s Instagram, and of course- buy a candle or two… or three! They smell incredible AND they’re hand poured right here in Virginia. You get the best of both worlds, am I right?